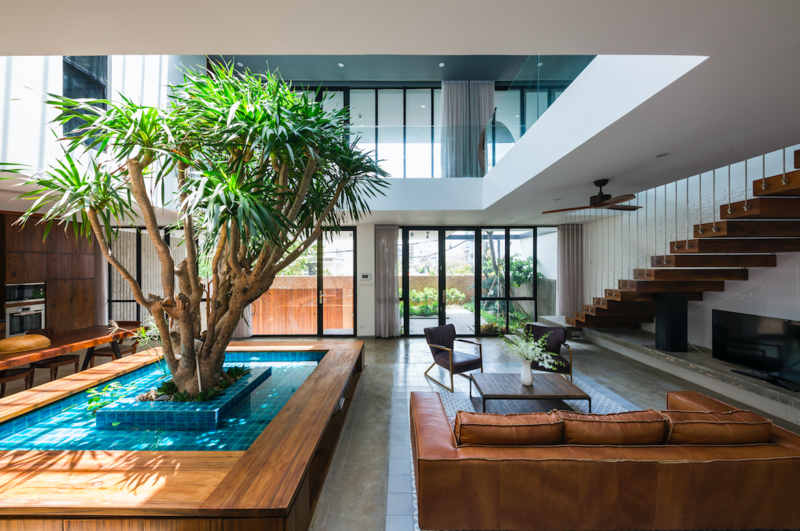 MM++ Architects Mÿ An Pham Thi, Hà Nam Nguyen and Michael Charruault together design stunning Patio House with natural light and indoor tree feature in Ho Chi Minh. MM++ Architects Mÿ An Pham Thi, Hà Nam Nguyen and Michael Charruault together design stunning Patio House with natural light and indoor tree feature in Ho Chi Mihn. 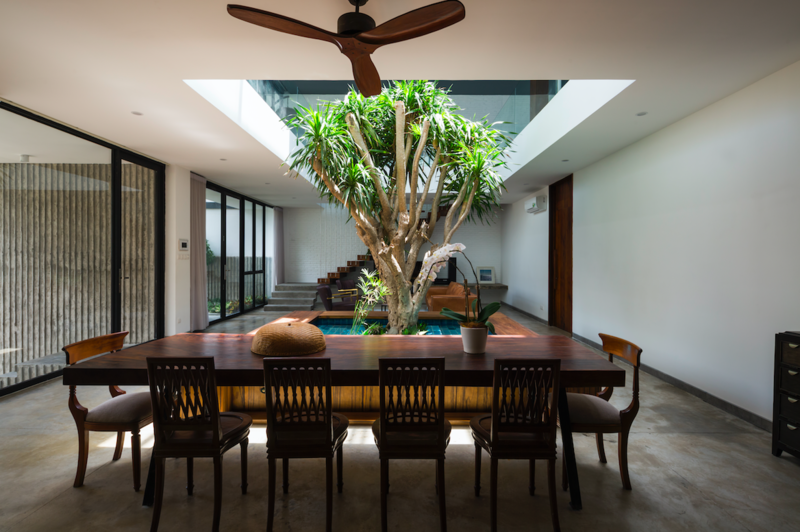 MM++Architects, Mỹ An Phạm Thị, Hà Nam Nguyễn, and Michael Charruault design this stunning family home that features an interior patio which draws plenty of natural light into the home. 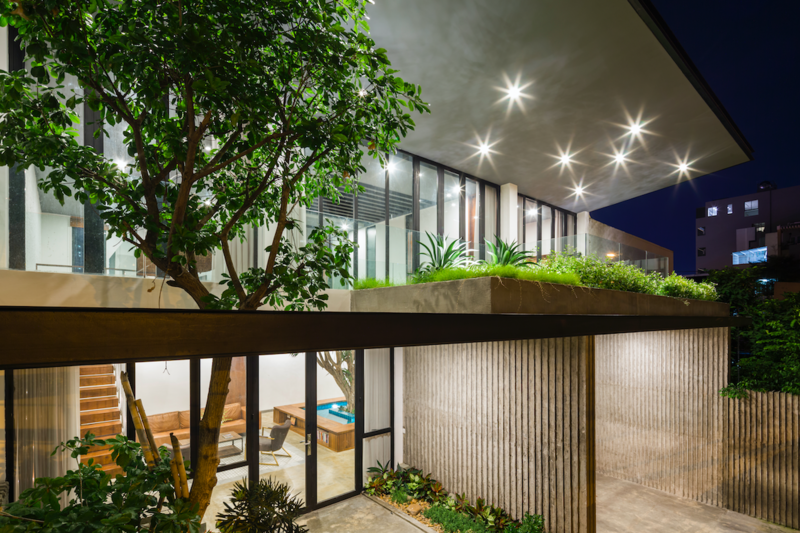 Taking full advantage of the property's land size, the architects' have organised the home around the central courtyard, the main feature of the homes' design. Michael Charruault told WILLIAMS MEDIA that "Patio house is one of these projects where the client with his brief let the architect design a “consistent story," fully dedicated to the inhabitant and interact with the site characteristics." 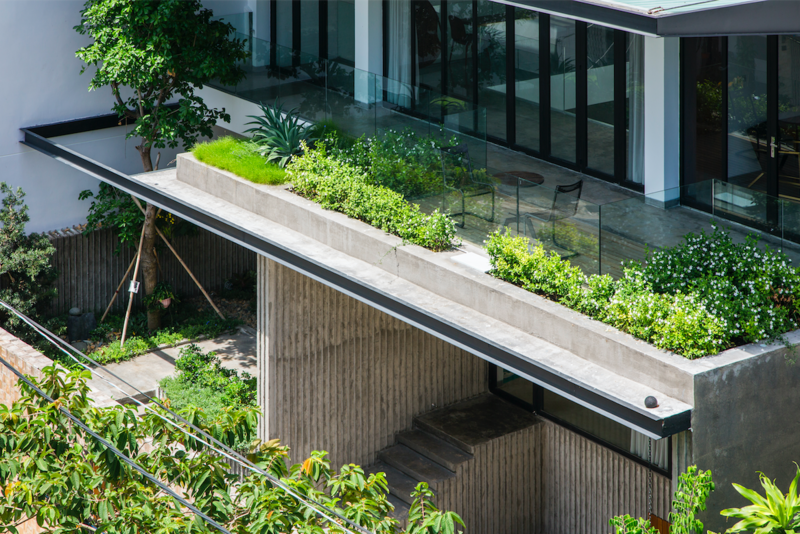 Located within the densely packed residential area of Ho Chi Minh City where houses are built adjacently to one another, the home has been deliberately designed to maximise privacy and views. MM++Architects reveal "the ground floor is slightly elevated from the street level to keep the views from dining over the carport, while the front wall fence brings total privacy and disconnects the house from the busy street." The house is oriented to the west and an automated sunshade louvre has been implemented to control sunlight coming through the large sky window of the patio. This not only controls the concentration of direct sunlight but also keeps the home cool. The deep overhang roof, combined with the huge sky window which can be opened and closed when required, creates an efficient airflow through each space of the home. On the ground floor, the patio brings enough light for a central planter that features a tropical tree. This feature is the main focus of the open space and divides the kitchen and dining spaces from the living room. Behind, the master bedroom with large sliding door windows that open to the backyard also benefits from the open feeling created by the homes clever design. Upstairs comprises two bedrooms with a large balcony that boasts panoramic views onto the cityscape. The large sliding door windows of this space allow for the rooms to be fully opened, and encourages interaction between the family and their surrounds. 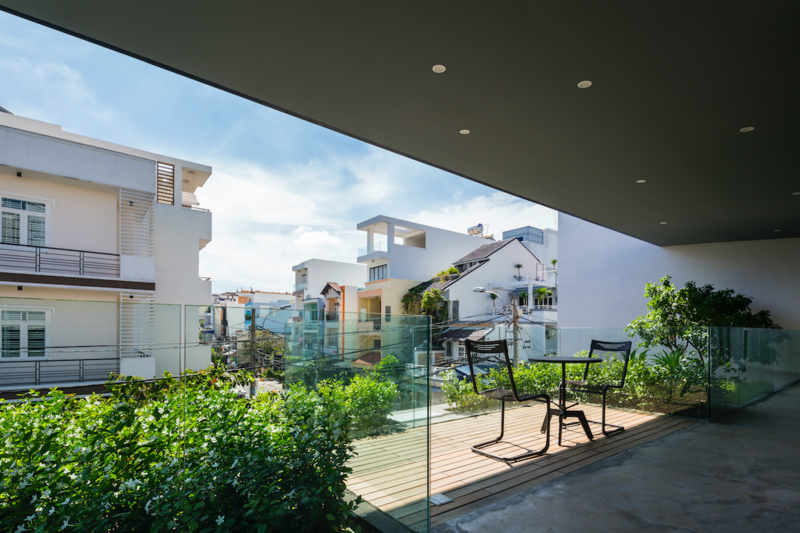 Throughout the design process, the architects of MM++Architects have considered all elements of the home - sunlight, climate and the surrounding environment to create a home that promotes comfort, easy maintenance and a relaxed lifestyle all in the middle of a dense urban landscape. For more information about Patio House visit MM++Architects here. To enquire about Patio House or MM++Architects, email Michael Charruault of MM++Architects via the contact details listed below.